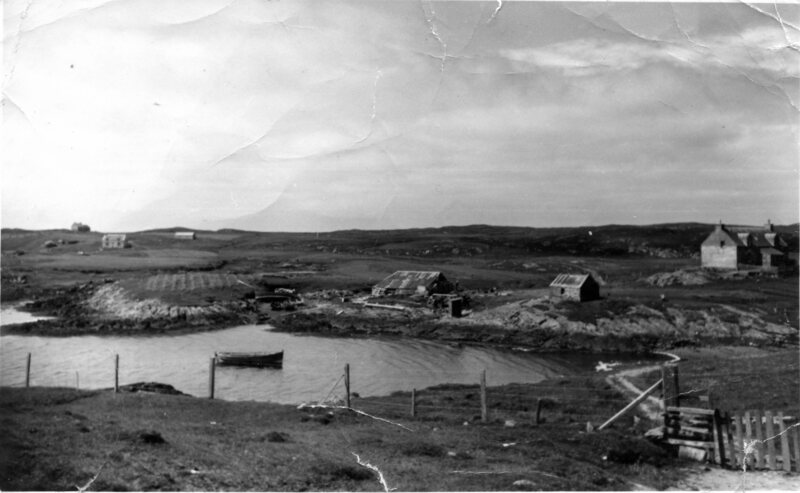 Blackland research takes place in the context of crofting, which has been the defining factor in the history and use of the Hebrides and west of Scotland for at least 150 years. Crofting was originally a form of small-scale, mixed-use, low-input, closed-loop agriculture which originated in the Gaelic communities of the north and west of Scotland, continuing a pattern of cultivation dating from the Neolithic. Since the late 19th century, over 700,000 ha of field, moor, and mountain have been held through this form of heritable tenancy, in crofts ranging from 1 – 15 ha plus common grazings. 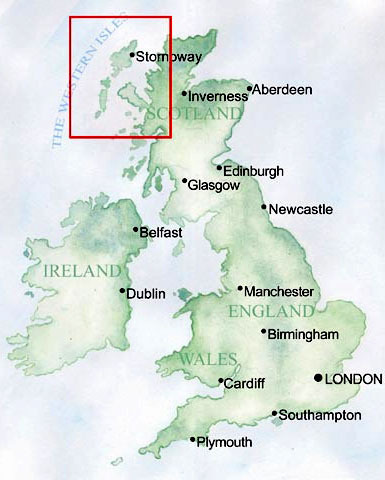 The area of the initial Blackland study is entirely in crofting tenure, with crofts held by the same families for more than a century, giving a long-term, stable management history. Classically, crofting included a mix of arable rotation, improved hay- and grassland, rough grazing and gardening. The usual crops were oats, kale and barley plus potatoes. Most crofts carried one or two cattle plus followers, and sometimes a horse. Dairy was an important dietary component; cattle were sold for export to the mainland for slaughter or finishing. Almost all feed was grown on the croft. A crofter was defined by the Napier Commission (the body charged by H.M. government in 1883 with investigating conditions in the Highlands and islands of Scotland) as “a small tenant of land with or without a lease, who finds in the cultivation of his holding a material part of his occupation, earnings and sustenance, and who pays rent directly to the proprietor”. Further insight into the practice of crofting is found in the Report of the Committee on Land Settlement (1928) “…a sheep farm is a commercial undertaking and has to be judged as such; a crofting community is a way of living and cannot be judged in terms of a profit and loss account.” Or as in the well-known but accurate joke, a croft is “a small-holding entirely surrounded by regulation” (Inquiry on Crofting, 2008). The political and regulatory battles over the status and regulation of crofting are described by James Hunter in Making of the Crofting Community (1974) and many subsequent publications. The thoroughness and breadth of these works by Fraser Darling and Hunter are not matched elsewhere in the literature.